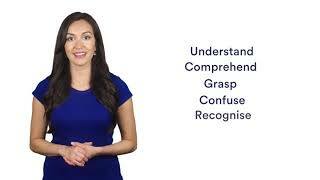 Verbal reasoning tests assess your understanding and comprehension skills. You will be presented with a short passage of text which you’ll be required to interpret before answering questions on. These are typically in the ‘True, False, Cannot Say’ multiple choice format, although there are a range of alternatives too. Verbal reasoning tests assess your ability to reason using concepts wrapped in words. It verifies your level of understanding and comprehension, as well as your dexterity when it comes to filtering out key information from a bulk of text. In the times of the information overload – a good level of literacy and verbal logic are among the most desired employability skills. What’s the format of verbal reasoning tests? There are a range of formats employed in verbal reasoning tests. The most common of these is the ‘true, false and cannot say’ format which requires you to decide which is the most applicable based on a small passage of text. Regardless, of the format, the same principles hold true. You will need to read text, interpret information and decide on the most logical conclusion. It’s important to remember that no previous knowledge of the passage topic is required so just make your decisions based on the information you’re given. Although, you might feel confident in your verbal powers, exposing yourself with these tests prior to the day will help. Practicing won’t hurt but a lack of familiarity definitely might. What skills are required for verbal reasoning tests? Verbal reasoning tests check if you can recognize the difference between facts and inferences, and above all assess your comprehension and logic skills. The ability to extract a correct meaning from complex information is one of the key requirements to perform well in your job. To do it quickly is another. Thus, the growing number of employers are using verbal reasoning tests to ensure the right candidates have strong reasoning skills in place before they plunge into a new job. How should I answer verbal reasoning tests? You should make decisions based on the information provided, not your inner expert. If it’s neither true or false, it can be “ hard to say” – in everyday life, we all strive to find black and white answers to most troubling questions, but that might not be the right approach. By doing these tests, we hope you will get rid of this habit, and learn how to answer correctly to the false and cannot say answers which many find the most problematic. Make sure you understand how many questions you will have to answer and how long you have to complete the test. Usually, verbal reasoning tests consist of 15 to 20 questions and don’t last longer than 15 – 20 minutes. Also note that while some tests have a number of questions per passage of prose, others have a new one for each. Don’t get stuck with one question because easier may follow. It’s as important to stick to timings, as to get a right answer. Some assessments allow you to go back and review/amend answers at the end. If you finish early go back and review the answers to the questions you flagged earlier. Focus on reviewing the questions you get wrong at the end of each verbal reasoning test. Review the solutions and try to understand why you have chosen the answer wrong. You will learn more from your errors than from those answers which you got correct. After all, to think critically, also means scrutinizing your own thoughts. This means completing practice tests in one sitting and to time. Do not practice in an environment where you are easily distracted and not fully engaged. This will maximise the efficiency of your preparation time and help you to accurately track progress that you have made. Try to measure your achievements against other users in order to make sure you stand out in a crowd. The average results might help get to the next stage, but might not be enough to get the job. Preparation times can often be as stressful as the actual assessment centers. It’s no surprise that no one enjoys spending time preparing for them, but think of this as an opportunity to get really well prepared and differentiate yourself from the competition. There’s a reason they say practice makes perfect. That phrase holds true when it comes to verbal reasoning tests. In fact, practice is perhaps even more important if you’re pretty new to these tests. But don’t worry, we have all the tools you need to get started. Begin by trying some verbal reasoning questions, viewing the explanations and seeing your scores improve.